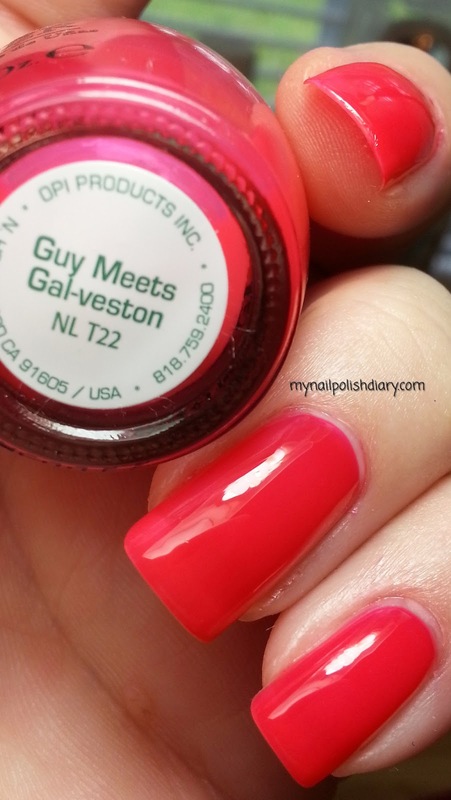 OPI Guy Meets Gal-veston is a red-orange jelly. It's from the Texas collection from Spring 2011. OPI called the jellies in this collection sorbet. I still call them Jelly though. Either way I love this collection. 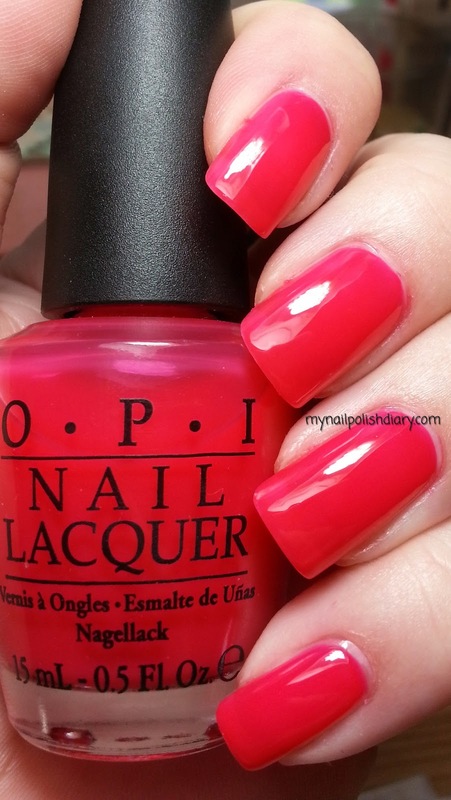 So pretty.GMG is super sheer, but builds ok and is opaque enough for me at 4 coats. I'm not sure this one would ever be totally opaque. I like it anyway. Some VNL doesn't bother me at all. I love jelly finishes. Squishy, shiny, beautiful. Thanks for looking!